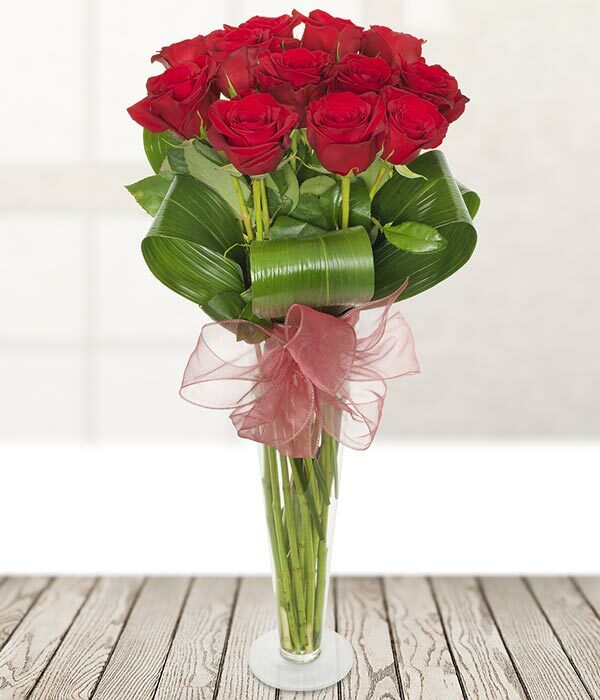 A dozen elegant long stemmed roses accompanied with fresh aspidistra leaves and tied with a pink bow. An ideal way to tell the recipient that you love them. Expertly crafted by a local florist and delivered by hand.